Supplied when new by St Helier Garages to the first owner in August 1972, this low mileage SIII roadster with manual gearbox remained in his ownership until late 2014, by which time the car had covered only 48738 miles. 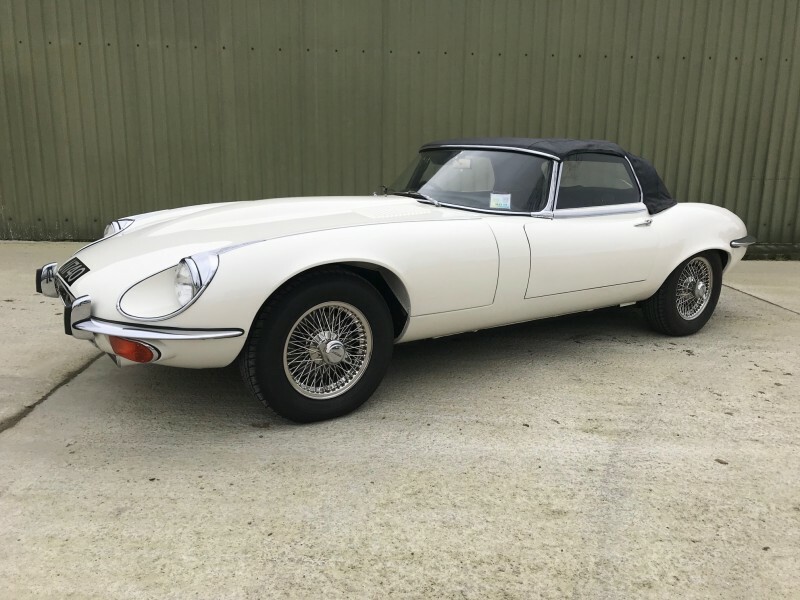 In 2015 after we supplied the car to the second owner, we were asked to recommission the car after a period of little use, and to refresh the paint as necessary. 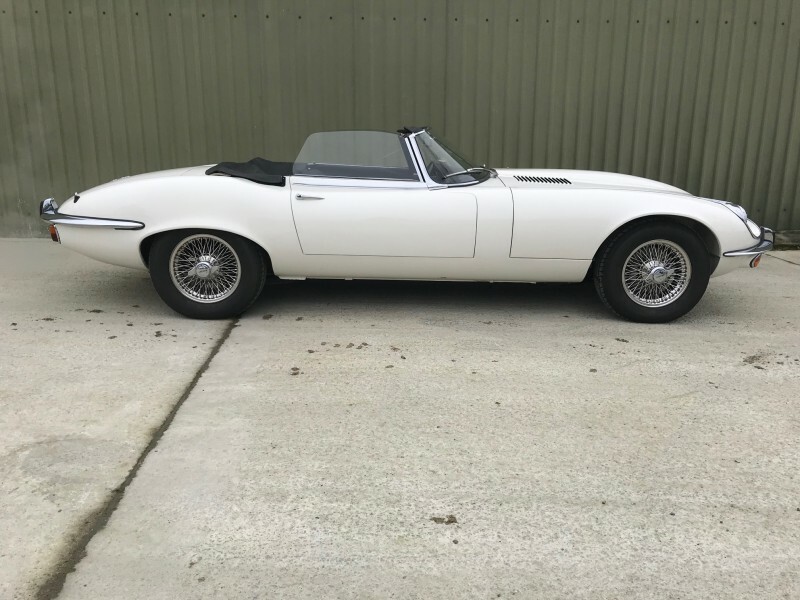 In the history file there is an invoice that details the work carried out, and which has resulted in maintaining the originality of the car. 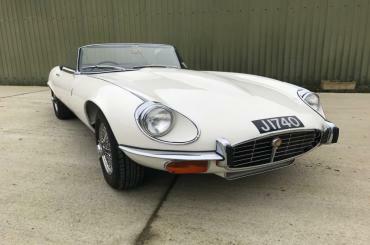 Since being recommissioned, the roadster has been kept in a private collection, maintained and run on a regular basis. 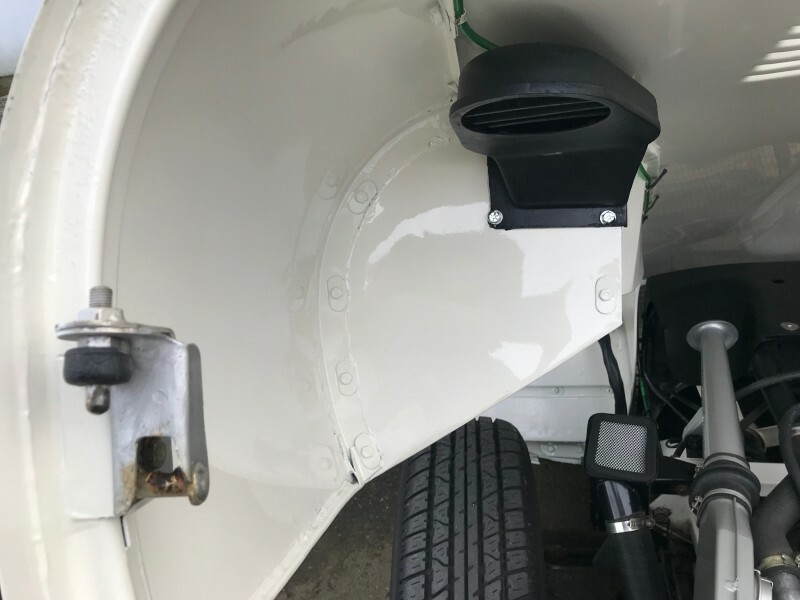 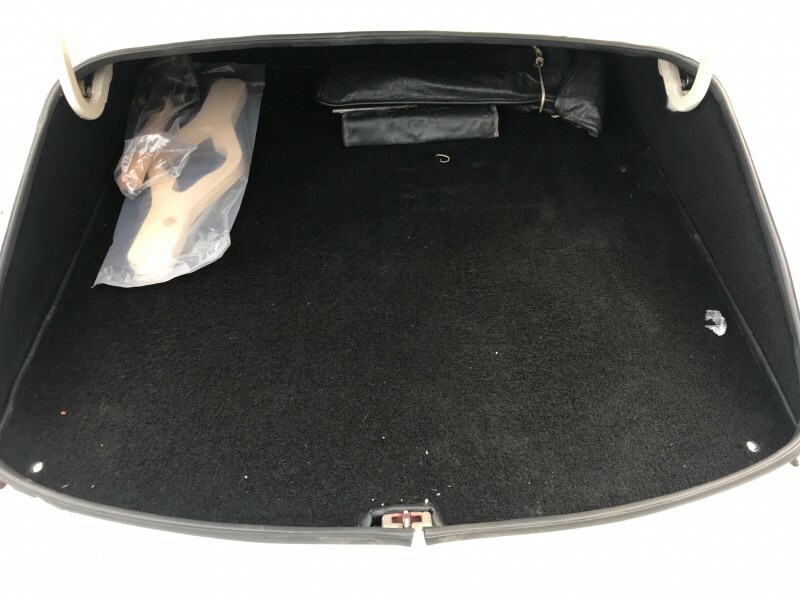 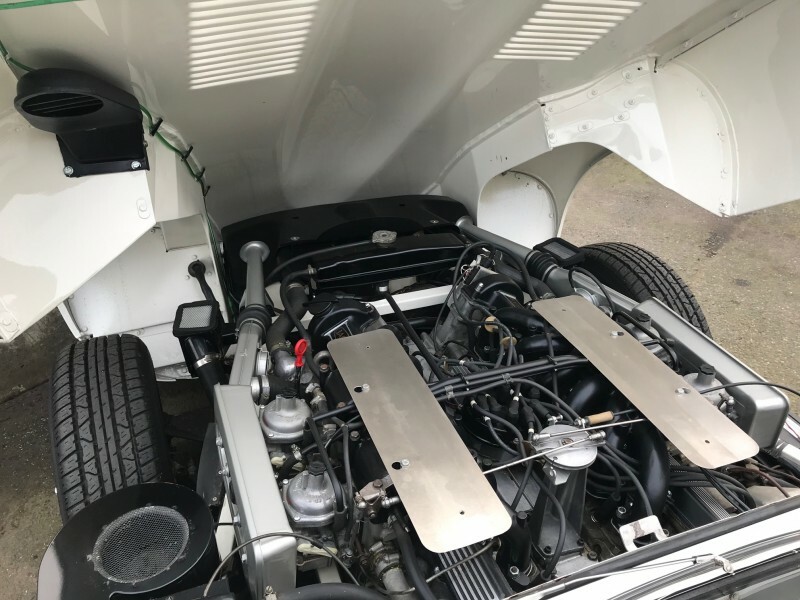 In addition, the engine bay has also been detailed resulting in an outstanding example of a fully documented original, low mileage two owner RHD Roadster, complete with its original radio and tool kit. 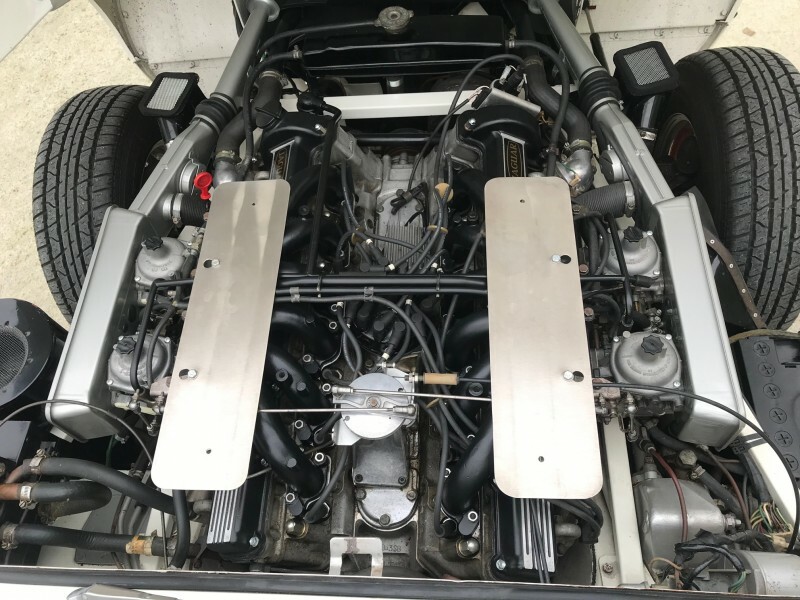 In overall excellent condition, a low mileage, low ownership V12 roadster having never been fully restored. 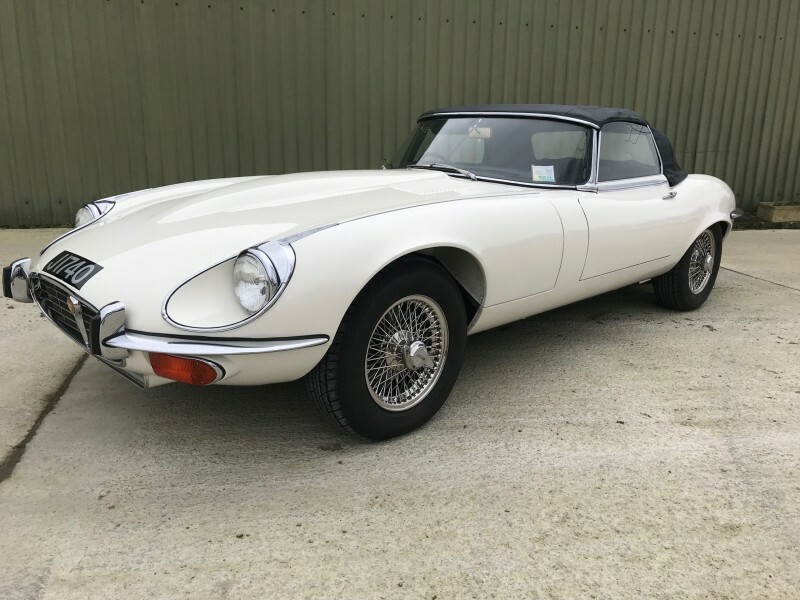 The car has fully documented ownership history from new, original buff log book, and more recent registration documents, together with recent invoices for work carried out by ourselves in 2015 totalling nearly £16000 in recommissioning costs. 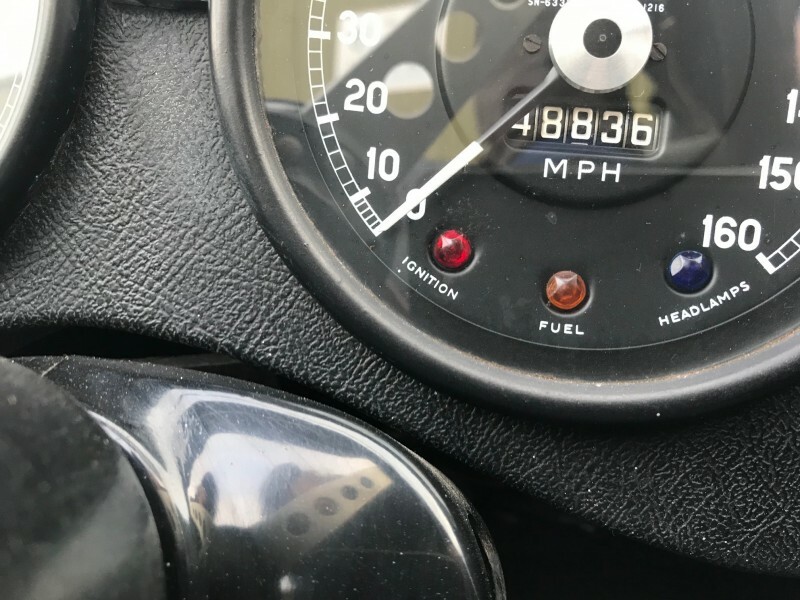 The J number is being retained by the owner. 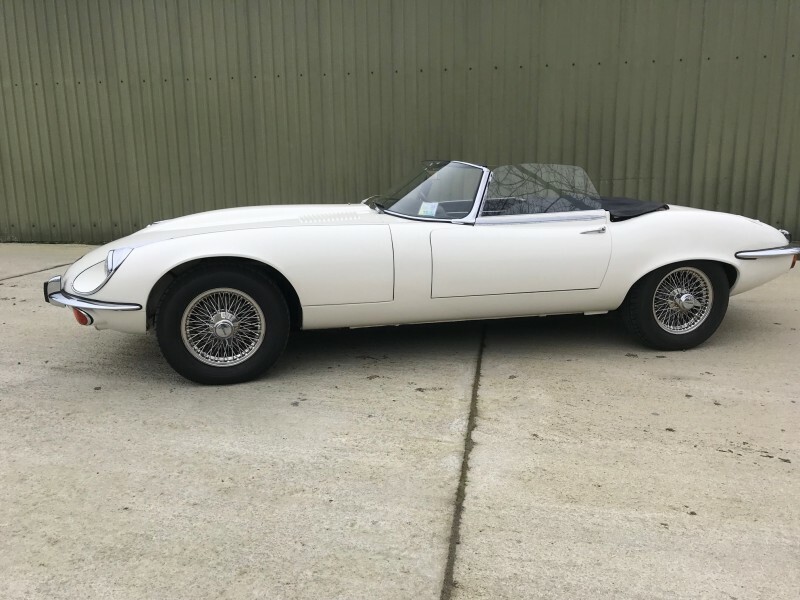 Following recommissioning the white bodywork is in excellent condition, with new chrome wire wheels and tyres, the original steel wheels and hub caps accompany the car. 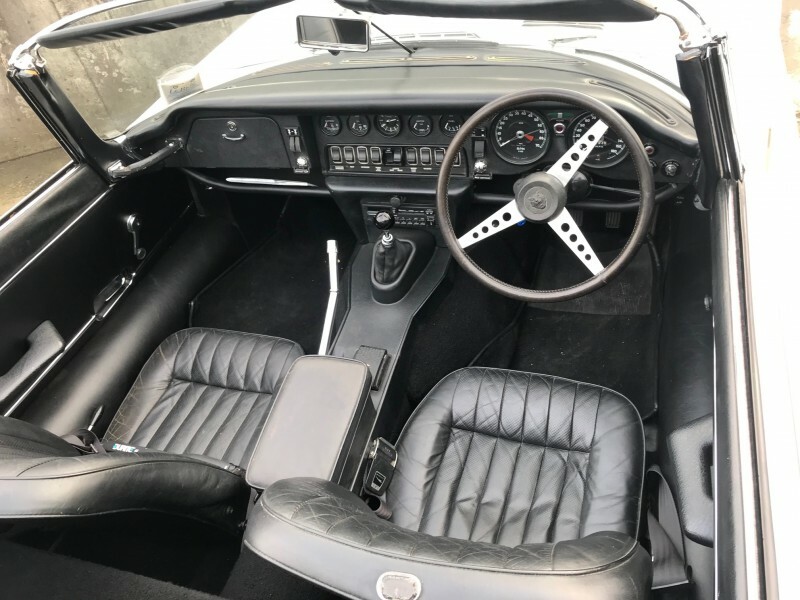 The black leather interior is in extremely good original condition with some patination which adds top the charm of the car. 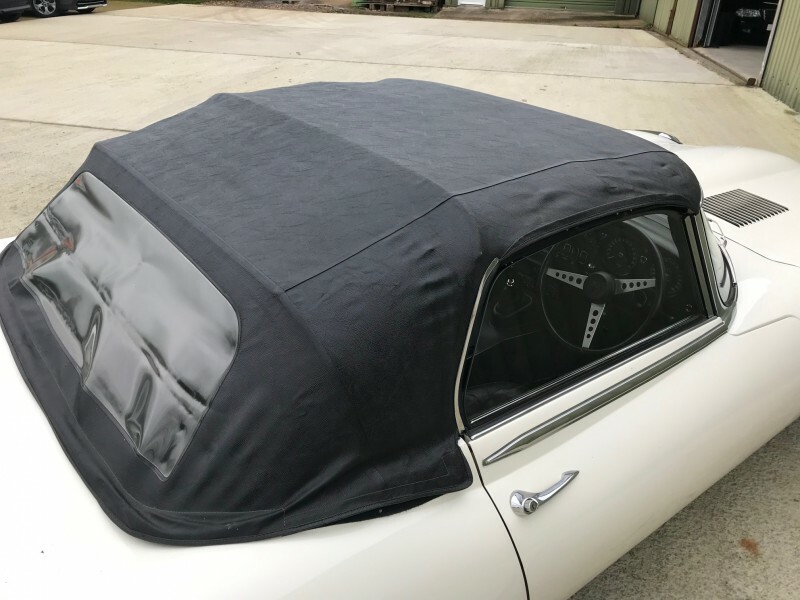 The hood is virtually as new. 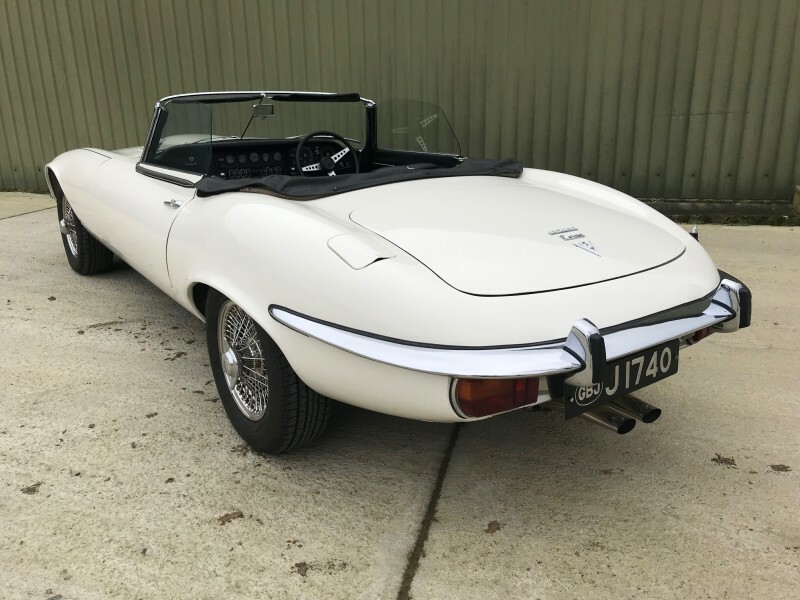 Whilst in our workshops, the car was mechanically checked through by our Jaguar trained technicians providing a car that is not only aesthetically pleasing but one which is ready to use as required.